On Saturday, April 27 and Sunday, April 28, property owners, tenants, residents and community groups can join the Community Cleanup Days. and remove litter from public spaces such as yards, ravines and laneways. Participants are requested to rake their curb, streets and boulevards in front of their premises, bag the debris and either take it to the compost site or leave it for the City to pick up on the Clean-Up Day. When you register you can request special litter collection, subject to approval, and are eligible for free litter and recycling bags. Registration closes on Wednesday, April 17. 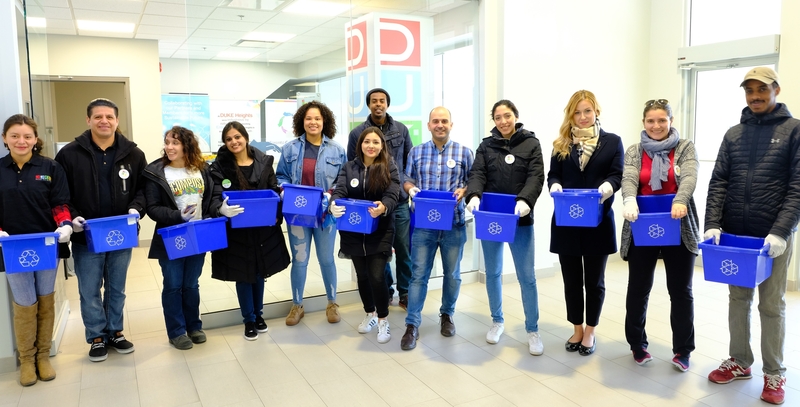 Participating in the 20-Minute Makeover can be a great team-building event and a great way to show that your organization is committed to a cleaner and greener Toronto. When you register you will receive a free corporate cleanup kit, containing litter bags and nitrile gloves. You may also request special litter collection for your cleanup, subject to approval. Registration closes on Friday, April 12.